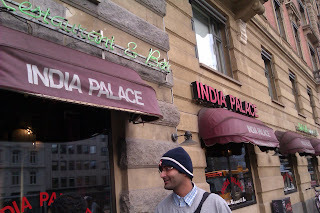 Taken at one of those places which reminds you of your watan, India Palace (or for that matter any good Indian restaurant) is what every Indian craves for when he/she goes to foren. Located in Central Copenhagen near Norreport, just the smell of a 135 DKK Indian buffet was enough to get you nostalgic. 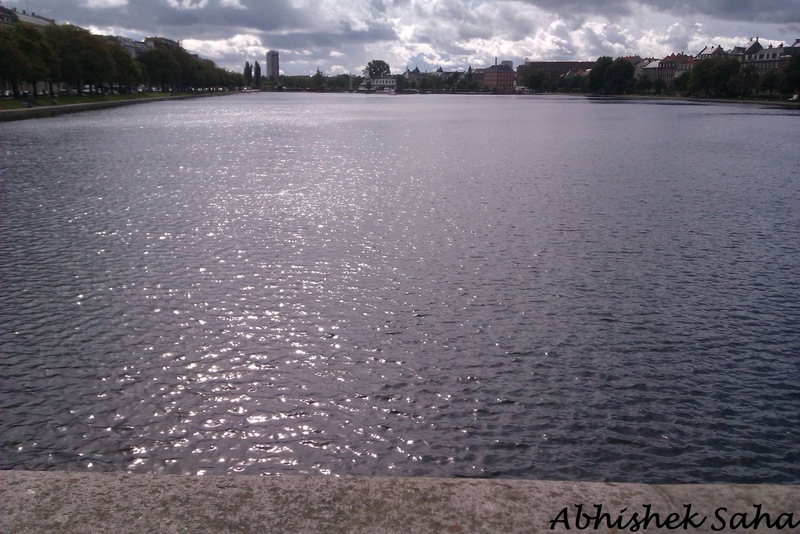 Taken at Norresgade, one of the pool roads connecting Norresbro and Norreport, the picture depicts the superb afternoon sunny scene in Copenhagen. 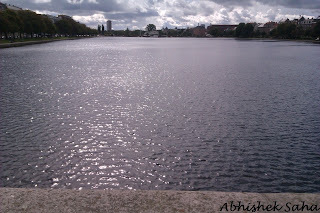 A walk beside this canal is beautiful and its no wonder that you would see a lot of people jogging on both sides. Taken outside the Osterport station, this picture depicts the Den Frie Centre of Contemporary Art. One of the rare places of art which don't get too crowded in Copenhagen. Taken at the edge of Osterbro's Churchillparken, this picture depicts 'The Little Mermaid' or rather Den lille havfrue on the edge of the harbour. A popular tourist location, I actually discovered it during a morning walk around the park. The statue is actually under copyright after attempts by several sculptors to make copies of it around the world. Also, it was taken to Shanghai last year for an expo; the first time it had been moved after being installed a century earlier. Taken at the Amalienborg Palace, the main residence of the Danish monarch, this picture depicts the Brockdorff's Palace or Frederik VIII's Palace. A popular tourist destination, this too I discovered during one of my morning walks. The location has actually four separate palaces all guarded by the special guardsmen (you can see one at the bottom right corner of the picture).